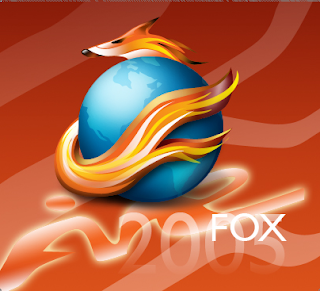 Security fixes, memory issues, better Vista support and several new languages are new features in Firefox 2.0.0.4 which was released yesterday (May 30, 2007). It is available for downloading and installing. VMware Inc today released version 6 of its industry-leading virtualization product VMware Workstation. VMware Workstation runs under a wide range of Linux and Windows versions and allows installation of an even wider range of guest operating systems within virtual machines. Among many possible applications are letting help desk personnel easily keep different Windows versions at hand, testing new software products under a variety of environments, and analyzing malicious software without the risk that it might damage a physical computer. Version 6 adds full support for Windows Vista both as host and guest along with significant feature enhancements from the previous version. With this version, VMware's support for Windows Vista moves from "experimental" to mainstream. It fully supports all aspects of Vista inside a virtual machine except for the high-end graphics. At this time it doesn't provide the 3D graphics support necessary for Vista's Aero Glass display mode. However, VMware's senior director of virtual software lifecycle automation James Phillips said that this will change, as the necessary support is "in the lab" at present. This version's support for multiple monitors is both powerful and flexible. The user can configure a single virtual machine to span multiple monitors or assign each monitor to a separate virtual machine. Long-time users will be pleased with the new virtual USB 2.0 ports--no more annoying "This device can perform faster" messages. The product currently has the ability to "clone" a virtual machine, producing either an independent duplicate or a space-saving duplicate that stores only what differs from the original. New in version 6 is the ability to clone a physical computer, quickly replicating the system as a virtual machine. In addition, it adds remote-access capability based on VNC (Virtual Network Computing). The user must actively enable this feature--it's off by default for security--and allows authorized users with proper credentials to operate a virtual machine remotely without installing any additional software within the VM. As Phillips pointed out, VMware is already completely in control of the virtual machine's input and output, so going remote is just a short step. VMware Workstation 6 makes new strides in integration as well. Software developers using Microsoft's Virtual Studio or the open-source Eclipse development platform now can compile a new build and run it in an automatically-created virtual machine, thereby avoiding the risk that a program flaw could damage the system being used for development. And the programmer has full control via the integrated virtual debugger. The new version also supports paravirtualization using the industry standard Virtual Machine Interface 3.0. 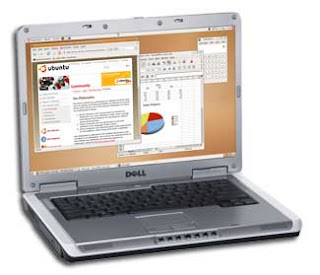 The guest operating system can get better performance by taking advantage of VMI. Ubuntu Linux is the first to offer this support; Phillips said that many others have expressed support and will be implementing it. On the bleeding edge, this new version adds experimental support for full record/replay within a virtual machine. That means it can record every single event that affects the virtual CPU's operation and play back those same events to exactly duplicate, for example, an intermittent software problem. Phillips explained that this feature is entirely independent of which guest operating system is used. VMware Workstation 6 is available as an electronic download directly from VMware for $189. Linux uses hard disk space called swap to write information it needs for accessing various temporary programs when system RAM is busy. Writing to hard drive is slower writing to RAM because the hard drive runs 100 times slower than RAM. Therefore, if your computer has much RAM (1G or more) why don't you tell your kernel about that because this helps your kernel using swap less and RAM more to speed up your system. Now, I will let you know how to reduce the tendency for the kernel to use the swap file. Since most of us don’t use IPV6 networks, this setting can slow down communication throughout our network. Turning this networking feature off will speed up your system. Comment out all the lines which has to do with Ipv6 in this file and save it then. The final step is that you reboot the system to take effect. Mozilla Firefox is one of the best browsers on the market. It is designed to display the text of the page as quickly as possible. Probably, you are using Firefox to read this post. Anyways, if you have not yet installed this browser, you can click on button "Get Firefox with Google toolbar" at the left side to setup freely. This post will show you how to install themes for Firefox. 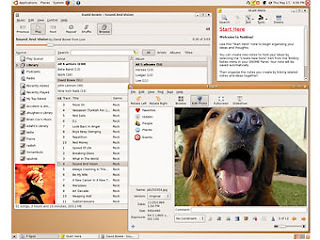 Ubuntu provides Mozilla Firefox themes such as Human, Tango, Industrial to make it look better integrated with default Ubuntu. To install these themes you run this command in your terminal. After the quick installation you have to restart Firefox to take effect. Go to Tools -> Addons -> Themes and take any available theme you like. In the snapshot, I have chosen the Tango theme. If you are a Windows user and you want to install new themes for your Firefox, open Firefox, go to Tools -> Addons -> Themes, and click on "Get Themes" to download and install new themes. Remember that using hotkeys in Firefox to save time. So far, I have provided different methods to write to NTFS partition in Ubuntu and to read Linux partitions from Windows. Now is the suitable time to know how to write to Linux partition from Windows. First of all, I would like to thank Stephan Schreiber who has designed and implemented Ext2 Installable File System software. This freeware application provides Windows NT4.0/2000/XP/2003 with full access to Linux Ext2 volumes ( both read and write access). This may be useful if you have installed both Windows and Linux as a dual boot environment on your computer. Now, I will show you how to install this driver. Once this driver is installed on Windows, you can easily mount a Linux partition on your computer into Windows and assign a drive letter to it. On my laptop, I have mounted Ubuntu Linux partition as a drive G.
In Windows, you open My computer and can easily see a drive G there. That is a mounted point to Linux partition. This is the result which shows the Ubuntu file system on my XP operating system. Now, all files in the Linux partition can be browsed, read and written to. Why don't you try it? It is free. I wrote a post to talk about how to write to NTFS partition in Ubuntu. Now, I'm going to show how to read Linux partitions. Now, It is available to read and copy any files or directories from your Linux partitions. Next post, I will tell you how to write to Linux partitions from Windows. Come back to read it please. As you known, It is easy to change the root password in Ubuntu. This post tells you how to change computer name quickly. 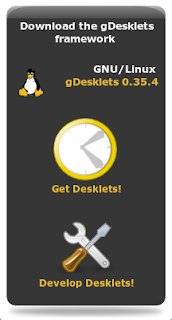 After installation, hit Alt + F2 and enter gdesklets shell to launch this application and load up your widgets. Fast and friendly, Ubuntu has solidified itself as the one Linux distribution that Linux geeks love and newbies can comfortably use. As the result, it is listed one of top 20 products of the year. In last post, I told you how to use existing hot keys to save time. 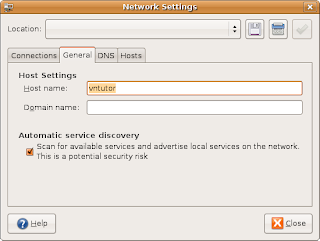 However, we can also create hot keys to run other applications in Ubuntu. For example, how can we create a hotkey to launch a new terminal? 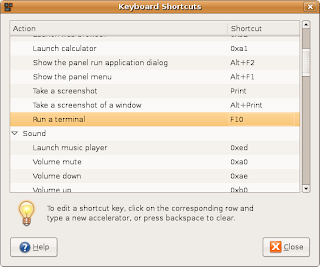 It is too easy to do that because Ubuntu has a built-in utility for assigning shortcut keys. Go to System -> Preferences -> Keyboard Shortcuts and .. I think that you know what to do now. In this case, I used F10 to launch my terminal. I has been developing a platform independent web application which should be work well in many different web browsers such as Firefox, Opera, Konqueror, and Internet Explorer. So I need to install all for testing my application. Now, what I have been done to install these browsers. Firefox is available in Ubuntu 7.04. Today, I need a free tool to manage my projects. I like a tool like Microsoft Project which I have ever used in Windows. 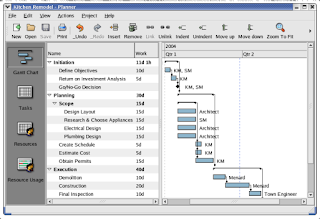 And I am happy to say that planner is a general purpose project management tool that provides a variety of features, which are available via 4 separate screen layouts called views (Task view, Gantt view, Resource view, and Resource Usage view). This tool is distributed under the terms of the GNU General Public license. It is available to install in Ubuntu Feisty. What is the Problem with Microphone? Today, I want to have a voice chat with my honey. What happen? After the connection connected, she asked me "Do you hear me, honey?" and "I hear you well, how about you?" I said ... but no signal to confirm that she received this words and then again ..."Do you hear me, honey?". It is so funny to know that I have the problem with using microphone. The speaker is good, but probably my microphone doesn't work. I try to find out how to fix this problem and finally this is a solution which I applied. After that you enter a number to select the editor which you love. I usually use vim as my text editor. If you are running a dual booting Windows and Ubuntu, you can read and write to FAT partitions easily. The problem is that you can only have a right to read NTFS partitions! And you need a suitable solution to write to NTFS partition. With the supporting from active open community, you can use a free tool which help you to overcome this problem. It is too easy to install. Why don't you try it? It is free! Tick the check box to enable write support for internal device. However, if you want to write to a external hard drive, you also select external option. Then, you click on button "Ok" to confirm and enjoy it. 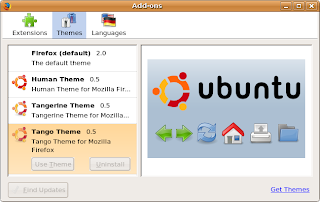 Do you know that we have two modes to interact with the Operating System like Ubuntu? In the old days, CLIs (Command Line Interfaces) was only used to work on a Unix computer. 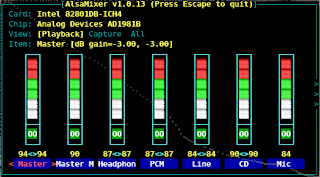 Nowadays, we have GUIs (Graphical User Interfaces) in addition to Linux machines. GUIs make OS more user-friendly while CLIs help us work more effectively. So, please read these tips to know what is user-friendly vs control and options. Using GUIs is easier but using CLIs is faster. GUI consumes too much CPU and memory. CLI is generally easier unless you can remember the commands and the options. The Linux CLI is so much more powerful than the old DOS CLI. The real determining factor in choosing interfaces is how they meet your requirements. GUIs are helpful for many tasks, but they are not good for all tasks. Therefore, I like both GUIs and CLIs. Linux is freedom. Yeah! I has been working with Windows OS many years. I think that small tips are useful for Windows users who start learning Linux. Names and commands are case sensitivity. File name should not contain spaces. "/" is a root directory. File name starting with a dot "." is a hidden file. There are no DOS-style drive letters. As default Ubuntu has no password set for the root user. To gain root access you have to type in your own user password. This is the password you set for the first user while installing Ubuntu. UBUNTU, one word can mean so much! Hello! At this point in time, I’m an Ubuntu user. What does Ubuntu mean? Ubuntu is not a single word. Enjoy this clip to hear Nelson Mandela explaining the meaning of this word. What I would like to share with you today is how to install packages to play most common multimedia formats, including MP3, DVD, Flash, Quicktime, WMA and WMV, including both standalone files and content embedded in web pages. It is simple by using the following command. I think what you should do in next step for your Ubuntu box is that install Microsoft true type fonts. How do I start writing for this bog? Just only one word ”Ubuntu”. I have installed the lastest version of Ubuntu, one of the most successful Linux distributions, on my old laptop. It is not difficult to setup this operating system. 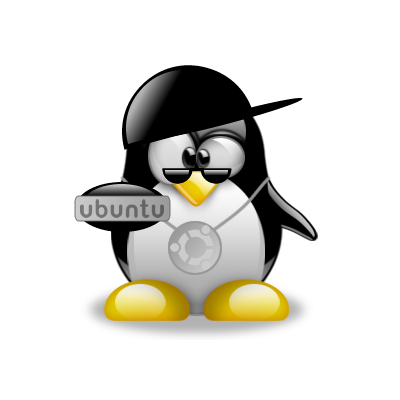 You can also do that by dowloading Ubuntu and read this guide to know how to setup Ubuntu 7.04 step by step. The best thing I like is that I can play with LiveCD which is built to run only off the CD without needing to be installed, before I have a full installation. This is a good tool to know what are new features supported from the operating system. Moreover, it is also used to test hardware on your laptop. I have never seen this feature in Windows. Great! It works well and now is the time to learn Linux.